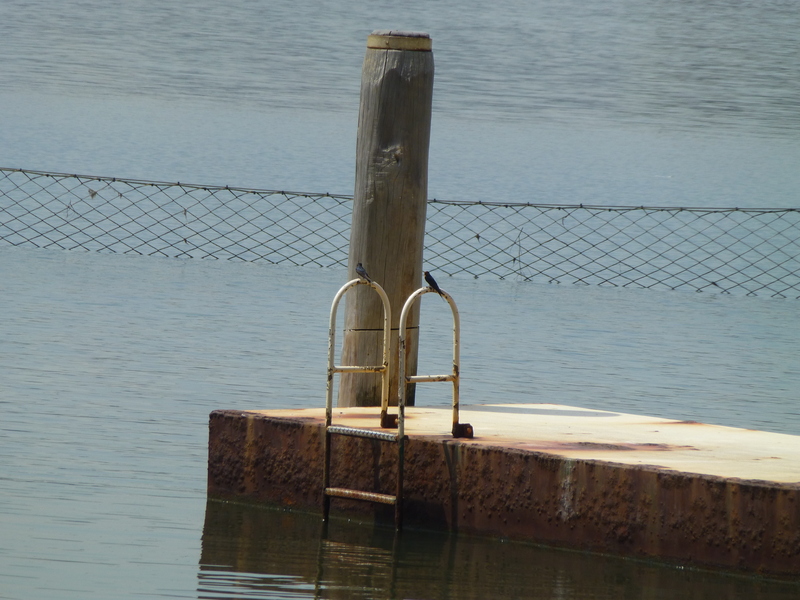 This pair of Welcome Swallows have alighted on the pontoon ladder. I often watch these tiny birds in flight, and marvel at their speed and agility. I like to capture images of different bird species together. Sometimes it’s easy, but more often it isn’t. 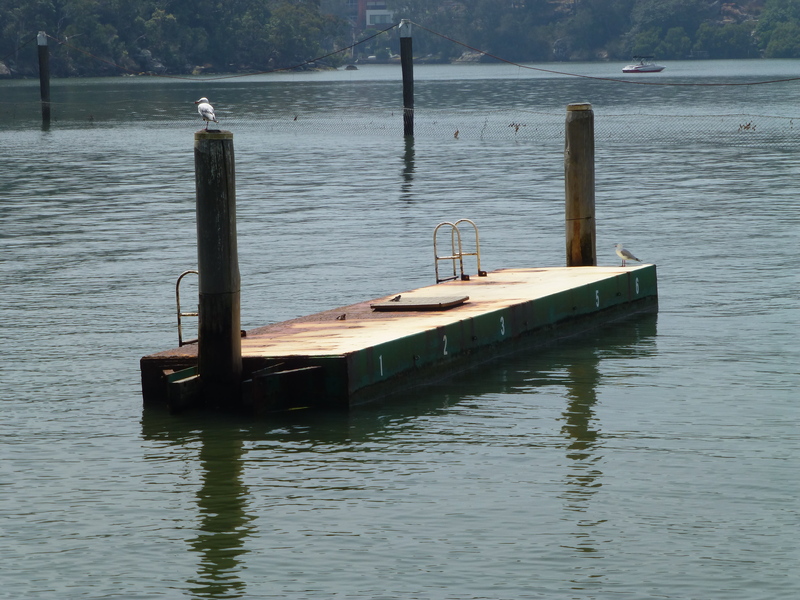 Not so long ago my eyes were drawn to the pontoon in the local river baths. 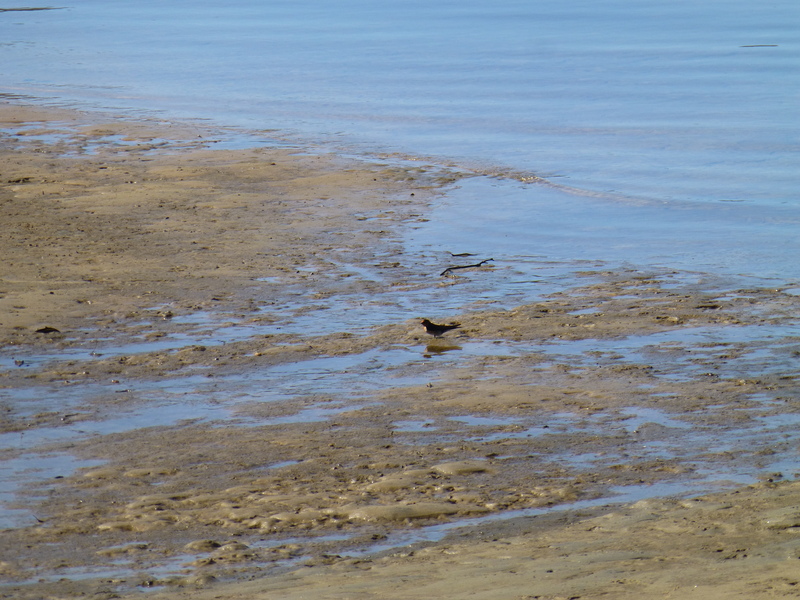 On it I saw a couple of Silver Gulls and a pair of Swallows. Being so tiny, the Swallows are hard to see, but they are there! 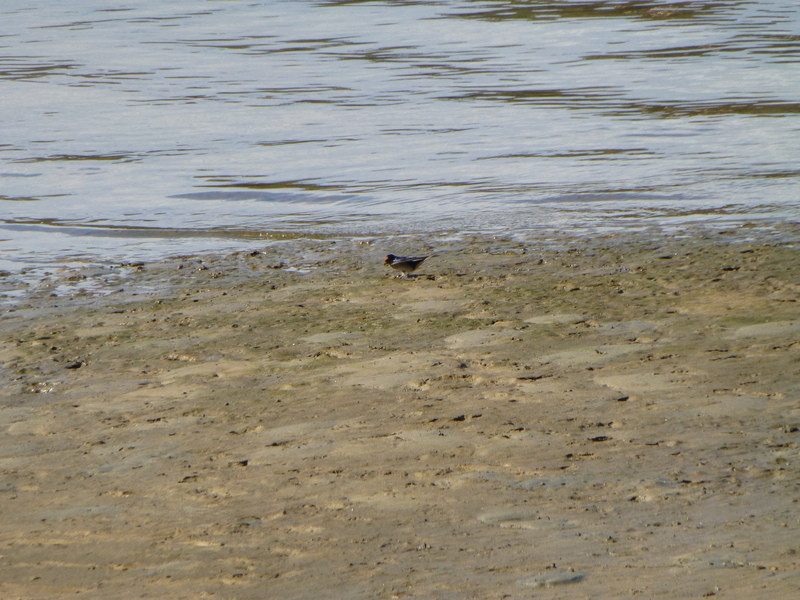 It’s not often that I see a Swallow on the shore. These birds are as tiny as they are swift, and one of my favourite sights. So I was delighted to capture this image. Although very tiny, it brings to life the memory of the day when one of these special little creatures alighted on the river’s sand.